Glucosamine is a substance produced naturally by the body. 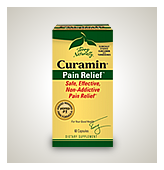 It plays a key role in supporting healthy cartilage growth, the connective tissue that acts as a cushion within joints. Taken as as a supplement, glucosamine sulfate provides the raw material used by the body to manufacture the glycosaminoglycan (a type of mucopolysaccharide) that is found in cartilage. Because of this, supplementing with glucosamine may help support joint health by contributing to the normal processes that maintain healthy cartilage. It is thought to also help relieve the discomfort associated ith osteoarthritis. I recommend the sulfate form (as opposed to glucosamine hydrochloride) because the sulfate can also help with joint healing. Daily doses of less than 1,000 mg do not typically produce a significant health benefit. I therefore recommend a standard dose of 750 mg 2 times a day (though it can also be taken as 1,500 mg once a day). It can be taken with or without food and has no more side effects than placebo. Chondroitin sulfate is sometimes added to glucosamine or taken by itself. Its benefits are modest as with most forms.